You could make these Potato Chip Clusters with milk chocolate or semi-sweet chocolate but I think white chocolate tastes best. Super creamy and it really compliments the flavor of the potato chips. 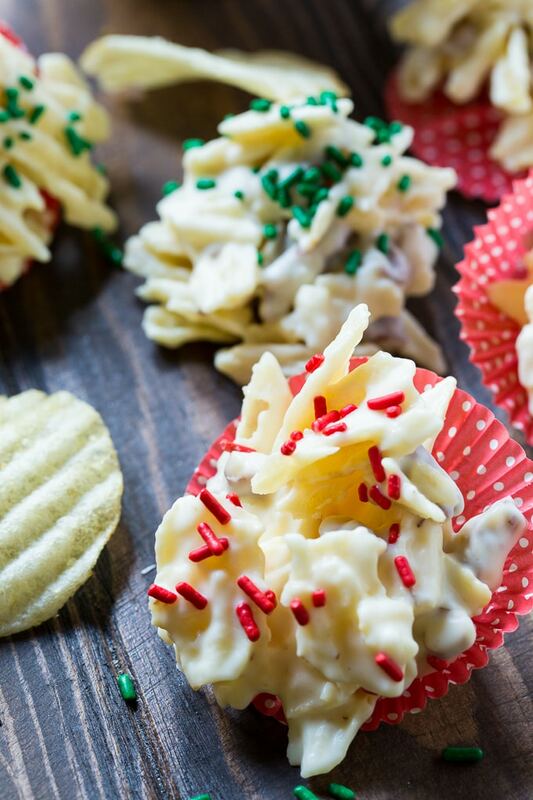 If you are a fan of sweet and salty treats, you will love these White Chocolate Potato Chip Clusters. The recipe is super easy too! Just melt some white chocolate chips in the microwave. Add in crushed potato chips. I use the ones with ridges (Ruffles), but you can use any plain potato chip. I also add in some chopped pecans. They add another flavor dimension but you can leave them out. Stir the mixture together well and drop it by spoonfuls onto wax paper. There’s no need to put sprinkles on them, but it does make them look super festive and it’s another fun task for young children to do. 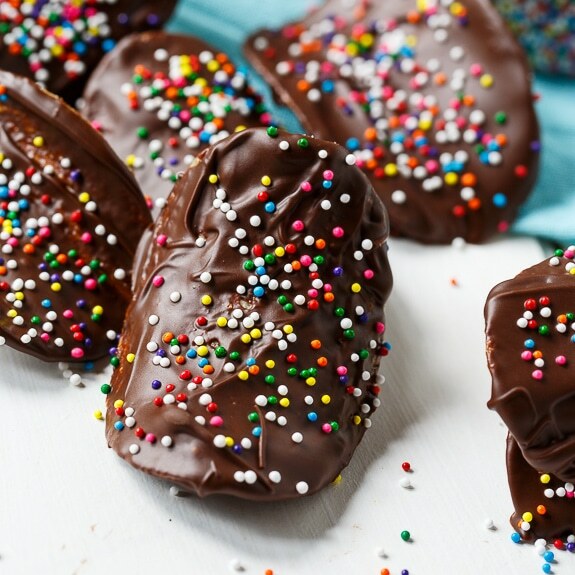 Refrigerate just long enough to firm up the chocolate and they are ready to go! These Potato Chip Clusters are the perfect marriage of sweet and salty and crunchy. 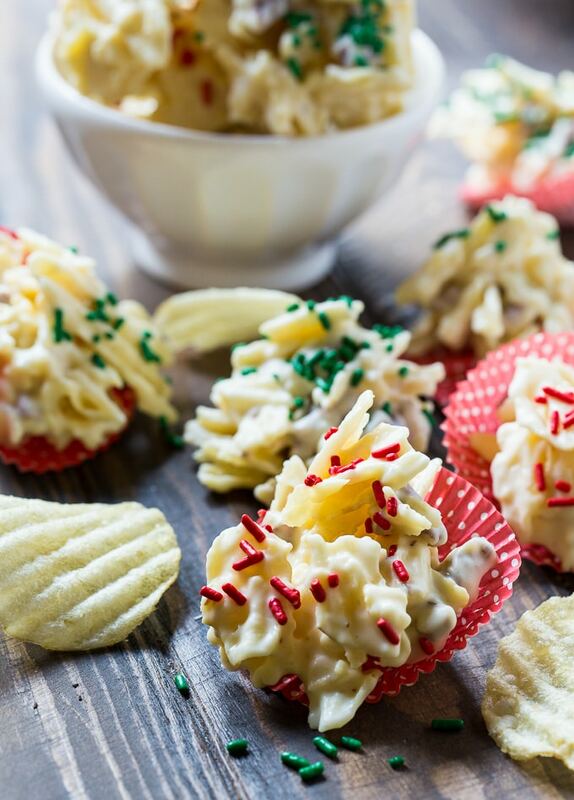 Crushed potato chips are covered in white chocolate. Place white chocolate chips in a medium-sized microwave-safe bowl. Microwave at 20 second intervals, stirring between intervals, until melted and smooth. Stir in pecans and potato chips. Drop by rounded tablespoonfuls onto a baking sheet lined with waxed paper. 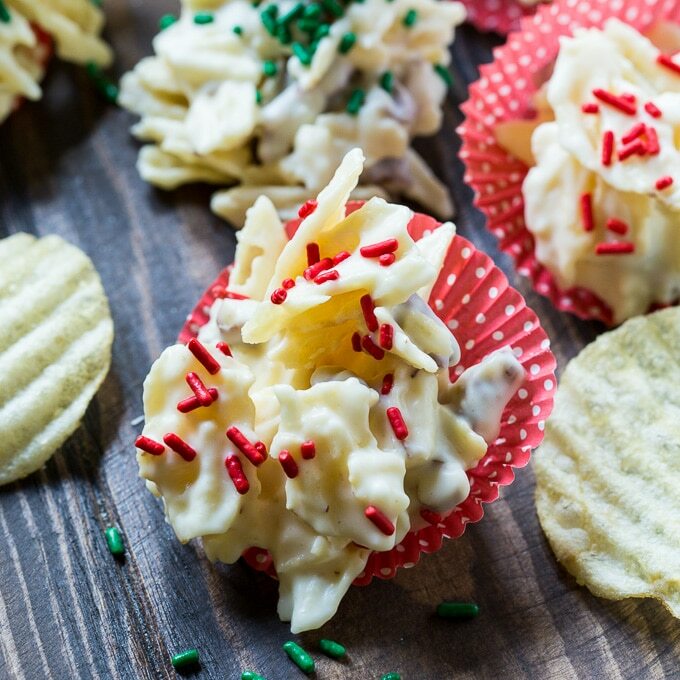 This entry was posted in Desserts and tagged candy, potato chips. Bookmark the permalink. These were a hit with my kids. They had fun making and eating them! Wow, it looks great and attractive. Fabulous gift for holiday gift-giving !